It was not so long ago that reel enthusiasts were able to bet on their favorite slot games only in brick-and-mortar gambling establishments. Players visited the landbased venues to place their bets there as well as to get a taste of the exciting atmosphere of the casino floor, which constituted a substantial part of the entire gaming experience. This all changed in the past decade when hundreds of regulated web-based casinos came into existence to provide players with the convenience to enjoy their preferred table and slot games from the comfort of their homes, sparing them the expenses of having to drive to landbased gambling establishments. Currently, mobile gambling is among the most rapidly growing sectors in this industry as the progress in mobile technologies rendered it possible for leading software developers to transfer some of their most popular slot titles from desktop to mobile platforms. This provides slot fans the world over with more flexibility and furthers their convenience as they practically get to spin the reels anytime and any place they like. What operating system your portable device is running on is practically irrelevant. Established mobile casinos are compatible with all widespread smartphones and tablets on the market, including popular options like iOS, Windows and Android OS. Some of the most loved slot titles have even been adapted for devices like Kindle tablets and smartwatches. When online casinos first appeared, players were required to download and install the native software clients to their desktop devices in order to load the games. Later on, many of the most renowned gambling operators chose to adopt this format for their mobile casino platforms as well, offering their customers the option to download native apps to their smartphones or tablets. Those, who do not feel like installing any additional software on their mobile phones can usually load the mobile slots directly in their portable devices’ browsers and enjoy the games in instant play format. 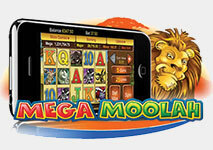 Apps for iOS and Android devices are available for a free download directly on the casinos’ websites. Another option for iOS owners is to visit the App Store and download the application of their mobile casino of choice there. Slot enthusiasts may need to scan a QR code in order to receive a download link for the casino’s native mobile application. This is especially true for slot fans who own Android-based devices as they may not be able to find their preferred casino’s app at the Play Store due to Google’s decision not to offer real-money gambling software at their app store. In rare instances, Android owners are sent the download links for the application via email after contacting the gambling operator’s customer support representatives via live chat. Mobile casinos typically aim to encourage players to download and install their portable apps by offering them exclusive bonuses and promotions, reserved for mobile users only. Slot fans need to go through a quick and hassle-free installation process in order to access their accounts and bet on their favorite slot titles like they normally do on their desktop computers. The applications are optimized for mobile devices, meaning that the available slots have been adapted to perfectly fit the small screens of smartphones. The applications are quite user-friendly and as such, allow for smooth navigation. The interaction with the games is also enhanced as players can set the reels in motion with a single swipe of their touchscreens. Slot fans should keep in mind that there are some minimum system requirements their portable devices should meet in order for them to enjoy a hassle-free gaming experience. 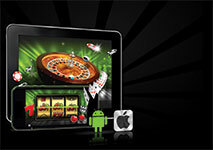 In most cases, mobile casinos run smoothly on Android devices that operate on OS 2.3.3 or over. The requirement for Apple users is to have a device running on iOS3 or newer versions. Many mobile casinos have adopted the HTML5 markup language, so there is no need for players to download and install any native apps on their devices in order to run the games on the move. Those, who lack space on their smartphones and tablets or are simply reluctant to install additional software, can still play their favorite slots on the go by typing in their preferred casino’s address in the browser’s address bar. Then, players are automatically redirected to the mobile version of the casino and can run their preferred slots in the web browsers of their portable device. What further enhances convenience is that instant-play mobile casinos running on HTML5 are compatible with an extensive range of mobile devices, including those that operate on Windows OS and Blackberry OS. When it comes to internet speed, mobile slots are more demanding due to their enhanced graphics and audio effects. In mobile table games, the background graphics are usually static and thus, less demanding on one’s bandwidth, but this is not always the case with advanced video slots where the characters and symbols on the reels are skillfully animated. If you wish to enjoy a smooth-sailing slot session while on the go, you need to have 3G/4G or a reliable wireless connection. Otherwise you risk suffering lags and screen freezes that may spoil your overall experience. If you have previous experience playing online slots on your desktop computer, you are unlikely to face any issues when spinning the reels on the move. You will find there are hardly any deviations from desktop play. The mobile slots are usually available for both free and real-money play, allowing players to test the games on go before making actual wagers. Since all mobile casinos are linked to their desktop counterparts, players who are already existing customers are not required to register separate accounts in order to bet on their portable devices. As soon as they are redirected to the mobile version of the casino, they will be able to log in by using their existing username and password. Both new and existing players get to claim free spins on qualifying mobile slots and partake in other promotional incentives while on the go. If there are any issues, slot fans can also conveniently reach the casino’s support agents, regardless of time and place. Some of the most popular deposit options available to mobile players include e-wallets like Neteller and Skrill, credit/debit cards, prepaid solutions like Paysafecard and even mobile payment services, like Payforit. Cashing out the winnings is just as easy and is usually done with the same payment method, used for processing the deposit. The interface of the mobile slots resembles that of their desktop counterparts, with players having the opportunity to choose different betting limits. All you need to do is select what coin value to use, adjust the bet level (how many coins you bet on each spin), and activate the paylines you want to bet on. Then you simply touch the Spin button or swipe the reels to set them in motion and wait for the outcome of this round. 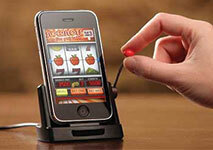 The features of mobile slots largely coincide with those of regular, desktop slots. Once they activate the Autoplay feature, players can go through a specific number of spins automatically without swiping the reels each time they wish to rotate them. Additionally, mobile players will be able to benefit from all the extra features they have grown accustomed to when playing slots on their desktop computers. More winning combinations can be completed thanks to the wild symbols while the scatters will help players unlock bonus features or multiply their profits on winning spins. Slot fans can randomly unlock bonus games to earn guaranteed monetary prizes or can trigger rounds of free spins by landing specific symbols on the reels. Progressive slots, like Mega Moolah and Mega Fortune, are the most demanded type of games at online casinos, so it is not surprising respected gambling operators have added some of the most well-known progressive titles to their mobile slot collections. This is to say, reel enthusiasts can potentially bag impressive jackpots on the go during their lunch break or while waiting for their bus to come. It makes sense that players will have to first boost their accounts’ balance in order to play mobile slots for real money and potentially bag a nice payout. Luckily, mobile-friendly casinos allow for deposits to be processed in a secure and convenient manner via all widespread portable devices. The benefits of spinning the reels on the move most certainly outnumber the disadvantages. Convenience and flexibility are undoubtedly two of the biggest advantages of playing your favorite slots via a smartphone or a tablet. If luck is on your side, you will be able to pocket a hefty payout any time, any place. Mobile slots are a fantastic option for players who lack enough spare time as they get to spin the reels on their way to work or while waiting for a business meeting to start. Diversity is another advantage of playing mobile slots on your smartphone or tablet. Since slots easily beat all other casino games in terms of popularity, the mobile portfolios of leading casino operators have plenty of options to offer to all reel enthusiasts. 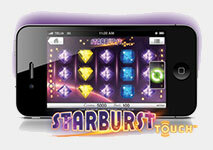 Thus, mobile slots greatly outnumber the other types of games, adapted for portable devices. There is something for all players, from classic 3-reel slots to multi-line video slots and progressives, each title coming with distinctive features and a unique theme. As more and more casinos decide to adopt the HTML5 language, the mobile slots are a viable option for everyone, regardless of the OS their portable device is running on. Mobile users also get to partake in unique promotional offers and claim different kinds of bonuses on the go. On the downside, players with older mobile devices who do not have access to a reliable internet connection are likely to experience troubles with graphically advanced slots. This often results in lagging spins and in the worse cases, screen freezes. Even more so, considering that key software providers have concentrated their efforts on creating more graphically impressive slots with each year that passes by.